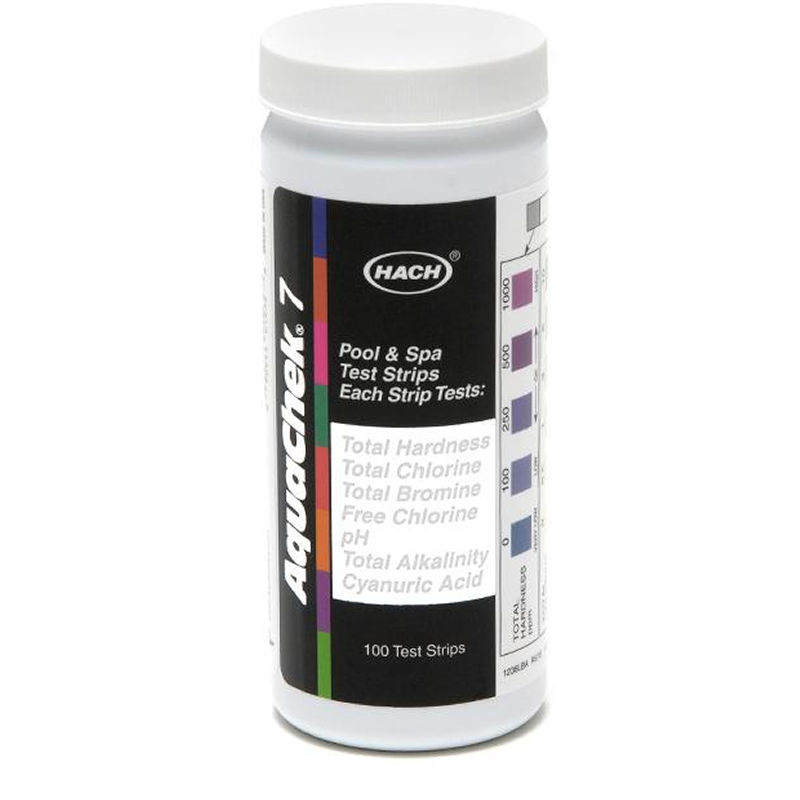 AquaChek Silver 7-Way offers seven important tests on a single strip. Silver now features an improved test for Cyanuric Acid. It?s faster and easier to use than liquid test kits. This strip allows you to test Cyanuric Acid up to 300 ppm (mg/L), a higher level than any available liquid kits! This Cyanuric Acid test works in pH between 7.0 and 8.4, and in Total Alkalinity at or below 240 ppm. It offers enhanced colors for greater color distinction and easier readability.